Schools & Courses is an organisation created by professionals with years of dedication and experience in different education sectors. We are conscious of the difficulty that many students encounter when trying to find an education program to fit their needs. We understand that this difficulty increases when one tries to find international programs. The staff at Schools & Courses has first hand knowledge of what is needed to find an educational program and the implications that arise from this. Closeteachers was created to offer Spanish classes at the teacher's home, aimed at those students who are looking for total immersion in Spanish. This service is available all over Spain and guarantees complete immersion and fast and easy learning while living with a Spanish teacher. At Closeteachers we also offer a selection of Spanish schools that offer great Spanish courses at reasonable prices. The team of developers at Closeteachers contacts prestigious language schools, having chosen the best and offers a careful selection of them with a discount on the official prices. 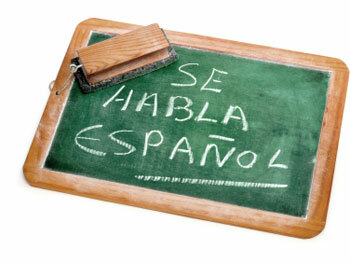 Myspanishcouresonline is a Virtual Classroom that offers courses related to the Spanish language. They provide courses aimed at those who wish to improve their knowledge of the Spanish language, as well as those who wish to be trained in Spanish didactics and improve their qualification as Spanish teachers. Myspanishcoursesonline all the contents are in both English and Spanish, in order to help facilitate learning and understanding of texts. Cursos de español online is a virtual classroom that offers courses related to the Spanish language. The courses are aimed both at natives and at Spanish students. For the natives, they offer courses related to Spanish teaching and related to understanding more about their language. Also there are courses to teach ELE (Spanish as a foreign language). Each course has a tutor, Spanish teachers or a specialist ELE teacher. Some of the courses include tutorial hours, which are done through Skype so that you can inquire about topics directly with the tutor or to practice the language. European Internships is a website that aims to promote internships abroad. European Internships works with cities in all European countries thus giving you many options from which you can chose your program. Their popular Hospitality Program allows students to develop their experience in this sector internationally.